Our next place of residence was CFB Shearwater (near Dartmouth, Nova Scotia, Canada). We lived in a two-story house at 3 Barracuda Drive. All of the streets were named after naval aircraft, which was fine with me, given my liking for military stuff, especially naval stuff. Halifax had a thing against ships carrying nuclear weapons, so all of the American ships entering Halifax Harbour would dock at the jetty just down the hill from my house. This provided me many opportunities to tour missile subs, cruisers, etc. Thanks, Halifax! I went to school at Hampton Gray Memorial Junior High School, named after a Canadian pilot from World War 2. It is kind of a blocky-looking school, much like hundreds of other prisons schools around the country. 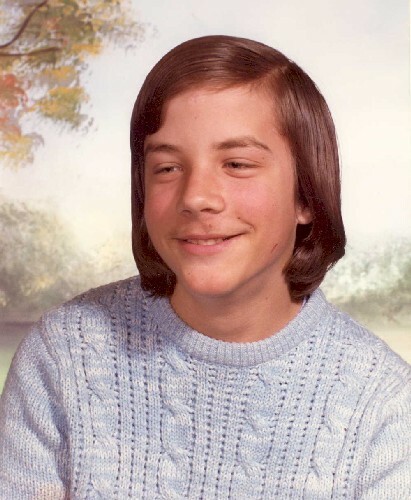 For my first year of high school, I went to Dartmouth High School. It was there that I first met computers, and began my life-long love affair with them. I remember typing on a clunky Commodore PET, one with 4K of memory, a tape drive, a tiny green screen, and a "Chiclet" keyboard. Life was grand. I wouldn't mind living in the Halifax area again. I like living by the sea, and Halifax is about the right size for a city. Not too large, but not too small either. 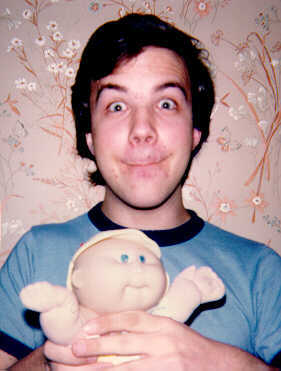 Me doing my famous Cabbage Patch Kid impersonation. I have no idea when this picture was actually taken, but this is as good a place as any! 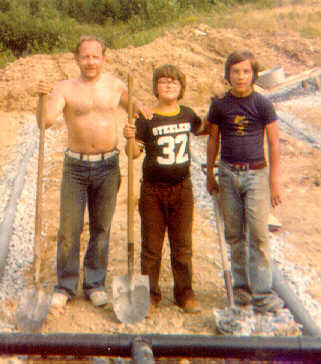 My dad, my cousin Ronnie, and I working on my grandparents' new house. Around about grade 9-10, I decided to grow my hair long. Hence the Prince Valiant look... never again! My father's side of the family. 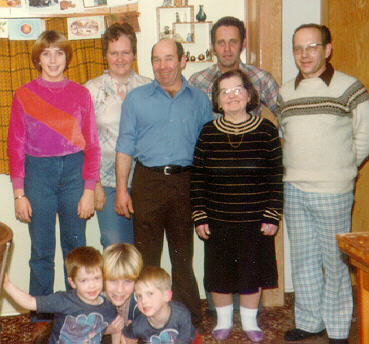 In back: Cousin Brenda, Aunt Diane, Uncle Fred, Uncle Al, Grandma Helen, my dad. In front: Cousins Fred Jr., Janice, and Brian.